Consumers struggling to pay back student loans have been left in the lurch lately, as the U.S. Education Department and Fannie Mae, among others, roll back protection measures from the Obama Era. Illinois Attorney General Lisa Madigan and lawmakers in the state are trying to compensate by passing legislation at the state level. The Illinois Senate this week passed Senate Bill 1351, which would create a Student Loan Bill of Rights to protect borrowers from abuse. The bill addresses widespread abuses and failures in the student loan industry that were revealed by Madigan’s investigation and lawsuit against one of the country’s largest student loan servicing companies, Navient. The measure, drafted by Madigan’s office and Sen. Daniel Biss, passed the Senate by a vote of 34 to 15 with one member voting present, and will now be considered in the House, where it will be sponsored by Rep. Will Guzzardi. 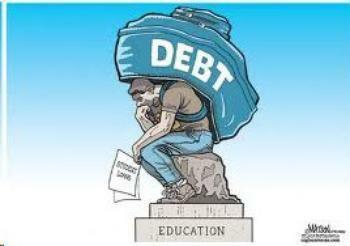 Over the past decade, student loan debt has doubled to become the largest form of unsecured consumer debt in the country, with more than 40 million borrowers owing over $1.4 trillion. Nearly 70 percent of graduates leave college with an average debt burden of $30,000, and one-in-four borrowers are behind on their payments or in default. Students who attended for-profit colleges are particularly hard hit, making up the vast majority of borrowers in default. While federal income-based repayment options are available, the U.S. Treasury has reported that only 20 percent of eligible borrowers are enrolled in these options, which can lower payments based on income to as low as $0 a month. Madigan said Illinois borrowers frequently experience problems with their student loan servicers. Specifically, borrowers in Illinois have complained to her office that their loan servicers failed to inform them of affordable repayment options, follow borrower payment instructions and answer questions consistently. Inform borrowers who may be eligible to have their loans forgiven due to a disability or a problem with the school they attended. The bill would also create a Student Loan Ombudsman in the Attorney General’s office and require student loan servicers to obtain a license to operate in Illinois. Learn more in the ConsumerAffairs Student Loan Buyers Guide. Will technology drive down the cost of college?